Brand New. Factory Sealed. Still in Plastic with Tags. 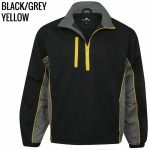 The Weather Apparel Company WeatherBreaker II waterproof pullovers. These are perfect lightweight, waterproof and windproof jackets that are your take-anywhere, throw on and go jacket for every outdoor activity. 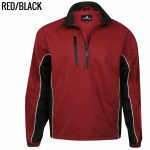 Outer shell is made of 100% Microfiber polyester with taped seams while the interior adds an extra layer for warmth. 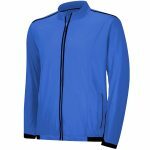 Constructed of a 100% microfiber polyester shell and a 100% lightweight polyester lining. Elastic cuffs with Velcro closure, and adjustable draw cord with stoppers in waist hem. 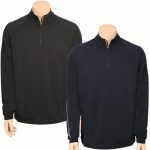 This versatile and stylish pullover is perfect for cooler days and looks great on and off the golf course.